Here we check out a line-up of the expected big time gallopers set for stellar Melbourne Autumn Racing Carnival campaigns with our Featured Horses section of the major players and Group 1 hopefuls to follow this season. Flemington first-up specialist Redkirk Warrior defends his Newmarket Handicap title in 2018. Photo: Ultimate Racing Photos. Hong Kong import Redkirk Warrior made history during last year’s Melbourne Autumn Racing Carnival saluting in the Newmarket Handicap first-up for the first time in a century and now looks on track to defend his title in the famous Flemington ‘Straight Six’ sprint in 2018. He proved his first-up flyer status at Flemington making it three-from-three resuming at the track when scoring a huge upset in the Group 1 Black Caviar Lightning (1000m), coming from nowhere to reel off some incredible late sectionals and upset the odds-on favourite Redzel. Very impressive and even carrying weight in the Newmarket on Super Saturday, looks a big hope to go back-to-back in the handicap classic for the first time since Razor Sharp (1982-83). Made history winning back-to-back editions of the Newmarket Handicap in 2018. Zipping Classic winner The Taj Mahal targets the Australian Cup 2018 on Super Saturday at Flemington. Photo: Ultimate Racing Photos. This Lloyd Williams-owned import was flat on debut down under when second last in the Group 1 Caulfield Stakes (2000m), but improved dramatically in his next two runs earning him plenty of support for bigger and better things in the autumn. 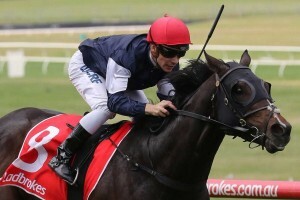 He was under two lengths beaten when fourth in the Emirates Stakes (2000m) at Flemington during the Melbourne Cup Carnival before his Ladbrokes Park win by an impressive 3.5 lengths in the Group 2 Zipping Classic (2400m). A proven stayer who looks right at home over the mile and a half, the Australian Cup will make a nice lead-up into the Sydney Autumn Racing Carnival staying races including The BMW (2400m) in late March. Looked likely to kick off on Blue Diamond Day in the Group 2 Peter Young Stakes (1800m) against a smart field of fellow Australian Cup-bound horses, but was scratched. First-up instead in the Australian Cup where he faces stablemates Almandin and Homesman. Finished a disappointing eighth in the Australian Cup won in an upset by Harlem. Class filly Aloisia is tipped to take on the boys in the Australian Guineas 2018 field. Photo: Ultimate Racing Photos. A young filly with plenty of hype on her ahead of the autumn 3YO Group 1 races. She first raced in Group 1 company in Brisbane during the winter as a 2YO finishing runner-up in the JJ Atkins over a mile. That form held in the spring when she enjoyed a second-up victory in the Thousand Guineas over the same distance (1600m) at Caulfield. A subsequent 2040m Moonee Valley Group 2 Vase win by over three and a half lengths when beating the boys and then VRC Derby favourite Cliff’s Edge followed. That barnstorming performance saw her jump odds-on favourite in the VRC Oaks, but the stretch out to 2500m proved too much and she ran three lengths back sixth to Pinot. Back to a mile against the boys at Flemington in the autumn? Yes please. She’s nominated for five of Sydney’s The Championship races as well and ran first-up on February 17 in the Group 3 The Vanity (1400m) at Flemington finishing fifth. Only two lengths beaten fresh over the 1400m and will improve over further fitter for the run. Ran a disappointing 13th to Grunt in the Australian Guineas, but could now head to the Sydney Autumn Racing Carnival for a shot at the ATC Oaks. Caulfield Guineas winner Mighty Boss returns for more Group 1 success in Melbourne over the autumn in 2018. Photo: Ultimate Racing Photos. Caulfield horseman Mick Price is keen to prove this Melbourne Autumn Racing Carnival that the spring Group 1 success of his Not A Single Doubt colt was no fluke. This progressive youngster went out a $101 roughie in the Caulfield Guineas (1600m) in mid-October and came away with a shock win over Kementari (2nd) and the Blue Diamond winner Catchy (3rd). Price has a high opinion of the proven miler and has him set for the Australian Guineas in early March over the 1600m, a race the trainer enjoyed back-to-back wins in 2008-09. 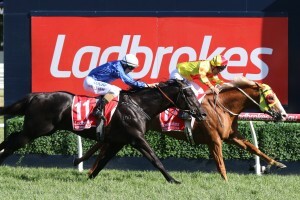 Price kicked Mighty Boss off in the Group 1 Ladbrokes CF Orr Stakes against the older horses first-up on February 10 where the youngster finished seventh but was under a length beaten, retaining his spot near the top of Australian Guineas betting. 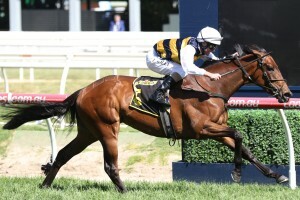 Had a second shot at a similar field at WFA returning to the 1400m at Caulfield on Blue Diamond Day (February 24) in the Futurity Stakes crossing eight. Finished a flat 14th back against his own age on the quick back-up in the Australian Guineas as a $13 chance.